God has blessed us, living in northern Michigan, with lots of fresh snow. We’ve also been blessed with some wonderful finds this season on cross country ski gear in thrift stores. 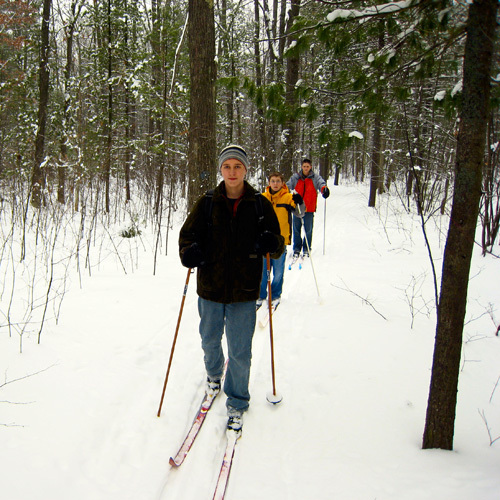 I’ve just been learning to ski in the last few days and the boys and I enjoyed a great time this morning on the ski trails near our house. All my practice until now had been in the back yard. The weather was a crisp 19 degrees and sunny — just right.